I think the change to the red borders going through the land rather than following the water seems a bit unnatural, it would make it much easier to find the borders in-game if they went through the water, so I propose sticking to the original plan there. The orange I can see you want to be a part of the Moltinian Alps instead, which seems reasonable as the borders still follow the natural terrain. I propose the borders below, following the yellow line but giving up the part between the orange and yellow line. Ok? Sorry, somehow posted in the wrong thread. Moved it to this thread. Anyway do you accept? I don't see why the region shouldn't contain that tiny bit of shoreline, it doesn't really make geographical sense to divide the land that way to me. But in the end, if you really want your region that way, I can vote for it. I just think it looks odd and must be confusing when walking around the area. 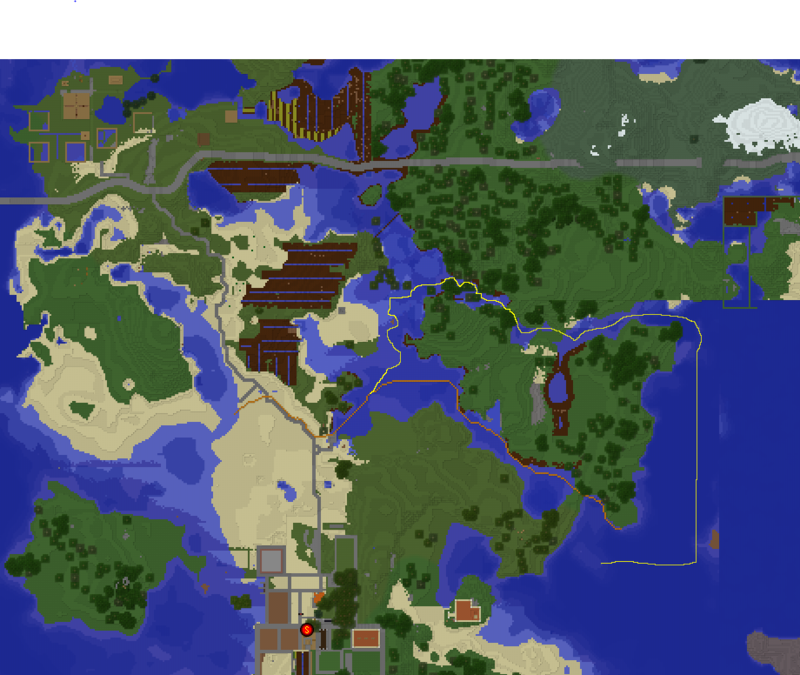 Well, there WAS Ros's region, but some months ago he seemingly snapped, burned down his house and griefed several other areas. 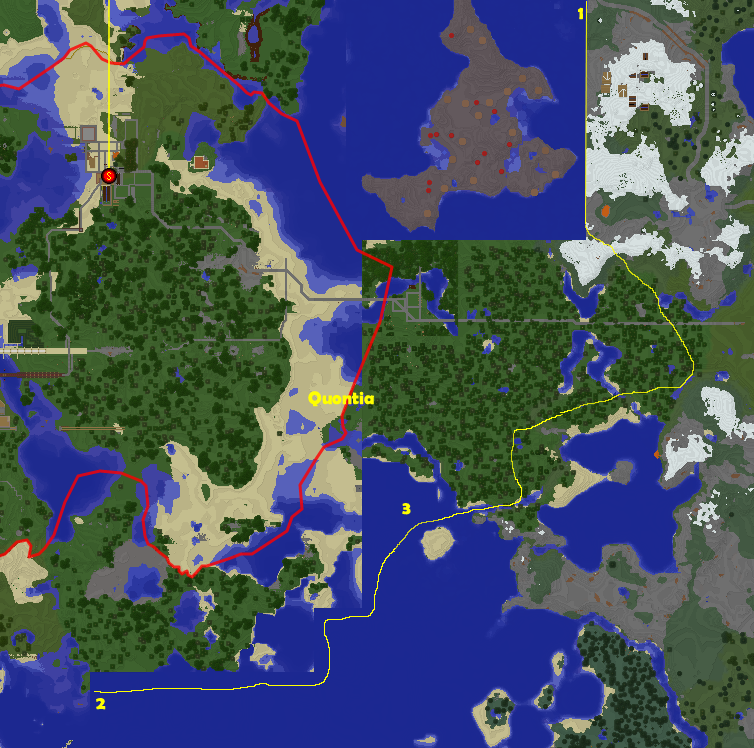 That area got cropped away in the last map cropping, or maybe before. Edit: Maybe I'll wait until voting actually starts, heh. If Quontex wants, we can begin voting for the area on the map outlined by the thick yellow line, not including the area east between the red and yellow lines, and orange and yellow lines. Since apparently Quontex asked to be banned, I'll change vote to no. I think this expansion is ok because he already has the Mushroom Island and jungle colony there which currently aren't defined in any region. Smj, could I convince you to vote for the Quontia expansion? He has already built in a lot of the areas there. Well, okay, you do have a point. I'll change vote to yes. Swonx still has plenty of room. Approved, as long as Quontex doesn't grab more territory (though this one was a deal between Quontex and Swonx. Yes, it's approved because it was a transfer between Lumaea and Quontia, which doesn't need a voting process, only the approval of both regional governments according to the rules. I've merged the thread into Quontia, as every region is intended to have one thread.